German Knitwear Designer Isabell Kraemer Visiting Longmont Yarn Shoppe! 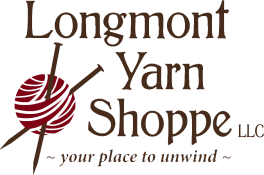 Longmont Yarn Shoppe is excited to announce a unique opportunity to meet, chat with and learn from a world-renowned knitting professional. With three different ways to participate and meet Isabell Kraemer from May 6, 7 and 8th, we hope to see you there! Isabell Kraemer creates everyday items for modern knitters. Loving the outdoors, she is heavily influenced by nature; and those who know her designs love her casual, contemporary pieces that all come with a little twist. A confessed stripe addict herself, she is also hooked on seamless construction; not because she doesn’t like seaming (she is a fully qualified dressmaker after all), but because she loves to see garments take shape and being able to adjust the fit on the go. Although hugely successful as a knitwear designer, she says that the biggest accomplishment is her son (there is even a pullover named after him) – becoming a mother was the best thing that has happened to her, followed a close second by her husband of a few years and her three cats. Isabell is a qualified dressmaker who became a knitwear designer almost by accident! People kept asking her how she made things, so she published her notes on her blog. When she discovered Ravelry she gradually started to publish more and more designs. It wasn’t long before she had gained a large and dedicated following for her fresh, wearable, and modern patterns. Isabell’s designs have been published in Laine Magazine, Amirisu and Vogue Knitting. She has also produced beautiful designs for Malabrigo Yarns, Quince & Co and Swan’s Island... all in her signature streamlined and contemporary style. ‣ Wednesday morning- Short Rows, When and Why?